So now that a year has come and go, folks are getting a chance to see the implications of the tax cuts. It's looking like, from the individual taxpayer side, it's not turning out like it was expected. Exemptions are gone. Caused some $28,000+ to disappear from consideration in lowering the taxable income. Yes, standard deduction went up, but only $12,000, so the net impact was more than $16,000+ to the negative ... not including the fact that I always had enough to itemize, so the impact ends up being more. Taxable income is up considerably this year despite making less total income. No changes in any lifestyle issues, etc., with the exception of one more kid in college, outside of the tax cut legislation. Increased tax credits for kids, but not anywhere close to make up for the removal of exemptions. Initial taxes, before deductions/credits was higher than last year despite making less total income. Refund this year will be, in absolute terms, substantially lower despite having an additional kid in college which should have had both the absolute and relative refund increase. Bottom line, at least for me, is I'm not seeing the direct positive impact that was promised and, in fact, are experiencing a negative hit. What I have noticed, in both my own and other anecdotal stories is that, at best, what most folks are seeing is that the paycheck increases that many folks saw was mainly a shifting of part of their year-end liability showing up in their paychecks. In other words, someone who would usually get back $2,400 in a tax refund, may well have seen a $100/month increase in take-home pay, but their refund is likely to end up being $1,200 or less. In other words, they didn't actually get a tax cut; just a tax shuffle. Just curious as to others' experiences. Our situation is tough to tell. We had two kids in school in 2017. We had zero kids in school in 2018. My gut says we (middle class) took a hit. I took a modest salary increase shortly after I got the new tax tables. After taking said pay increase my net take home went down about $72 a pay period. The real killer in my opinion was losing the deductions. Our refund for 2018 was about 17% of what it was in 2017. On another note, the real killer that all your sales friends are going to be upset about, if you're a straight commission person who's a W2 employee, mileage is gone. Loopholes for meals are also gone. This does not apply to 1099 subs. I do some odd jobs as a sub that I get 1099'd for, I still get mileage and meals. Our (married filing jointly - no kid's deduction anymore) tax liability was down 3% this year (according to Turbotax) versus 2017. Not any heavier deductions, still got mileage, meals, and charitable deductions. My refund was less, but I am certainly OK with that since it's my money to begin with. Are you W2 or 1099? W2. I am the manager, so I have salary plus commission. I use my personal vehicle often for travel with little or no reimbursement (driving to the airport, or calling on customers within 5 hours). However, for 2018 under the new tax law, miscellaneous expenses like unreimbursed mileage cannot be deducted for tax year 2018 (the taxes you file in 2018) through Dec. 31, 2025. There's a lot of items that used to make the green numbers spin in TurboTax that don't this year. Used to be that, once I got done entering in the wages section and taxes withheld, I was at a little green and then, once I started putting in all of the charitable deductions, mortgage interest, property taxes, and education stuff, that sucker would spin. This year, I'm almost done with all of the charitable stuff and it's still just staring at me unmoving. Kind of a bummer when you put in a single , nearly five-figure donation, and that number doesn't move. I used to track my mileage for volunteer coaching, even created a spreadsheet so all I had to do was enter in the number of practices and game locations and it would automatically crack out my mileage for me. Probably not going to need that anymore. One thing I'm curious about will be if ancillary charitable deductions will be impacted moving forward. I expect that won't be the case with folks' core charities, but I wonder if there would be a potential drop in charitable giving or, at minimum, a change in the timing ... e.g., give twice as much every other year and nothing in the intervening years to be able to get an advantage that would be lost by giving a regular amount each year. I use a spreadsheet as well. You need to read closer, volunteer coaching isn't a W2 position. You might still be able to deduct. I can still deduct 1099 mileage. If you're a sole proprietor, you can still deduct as well. I wasn't looking at it from a W2/1099 perspective, but more from the standpoint that I don't think it's going to move the needle unless the last of my charitable stuff, Goodwill, kicks me over that $24,000 floor. It's going to be a lot like tracking medical expenses for me in the past as I normally couldn't get past that 7.5% of AGI ... which I guess is actually a silver lining in a different way. I has always been a supporter of a flat tax - for reasons like this, not that I won't miss looking for an extra deduction or 2........Again, according to my Turbotax report at the end we did have a 3% decrease in tax liability this year so I got that going for me. I've said it before, but I'm not sure Corporate America really needed much help with that Tax Act. Thanks to the new Tax Cuts and Jobs Act (TCJA), Amazon’s federal tax responsibility is 21% (down from 35% in previous years). 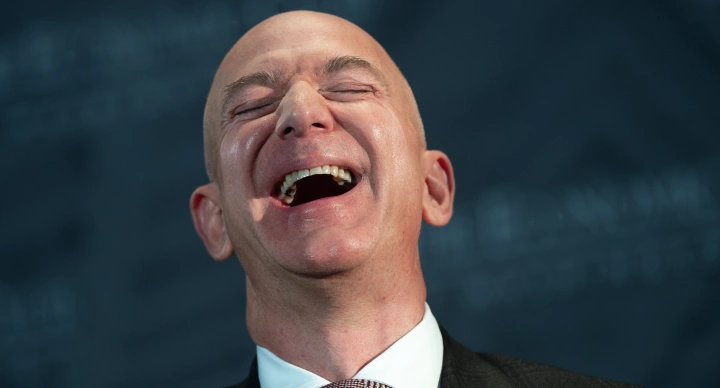 But with the help of tax breaks, Amazon won’t be paying a dime to Uncle Sam despite posting more than $11 billion in profits in 2018.